In our increasingly complex world, in order for the United States to continue as a global leader, it’s more crucial than ever to ensure that our children have the knowledge and skills to solve tough problems, gather and evaluate evidence and make sense of information. One of the best things we can do in this regard is to encourage the study of science, technology, engineering, and math—the subjects collectively known as STEM. The skills that are learned through a STEM education are increasingly necessary in our tech-savvy world. They can also pave the way to some of the most in-demand jobs our economy has to offer. In addition to encouraging your kids to pursue STEM subjects in school, there are some things you can do as a parent to engage your child in STEM learning outside of the classroom. Encourage curiosity—If your child is always asking “why”’ and “how,” take the time to explain the things that you understand. If they ask a question you can’t answer, look up the answer together to show them how to research a subject. Seek out educational programming—There is a multitude of excellent educational programming available to us today. So, the next time you and your child are looking for something to watch together, don’t gloss over the educational or “documentaries” sections of TV services like Netflix; cable channels such as the History Channel, Discovery Channel and National Geographic; and Public Television’s NOVA. There are also plenty of kids’ and primetime television shows that have more of a STEM theme than you may expect. Sid the Science Kid is a great option to spur a science interest in early learners. For older students, shows like CSI or Numb3rs, can spark an interest in forensic science and math. Visit a science museum—There’s no better way for your child to get firsthand experience with science than by taking them to a science museum. Science museum exhibits expose children to complex and fascinating science and technology concepts in creative and accessible ways. Hands-on museums even give kids the chance to run their own experiments and engage interactively. Metro Detroit offers excellent science museums, including The Michigan Science Center and Cranbrook Institute of Science. Look for STEM-based extracurricular activities—There are any number of activities and events today for children who are interested in STEM-related subjects. Encourage your child to engage in science fairs and engineering design competitions, for example. Competitions such as the FIRST Robotics and Junior FIRST Lego® League programs have grown very popular in recent years. They challenge teams of students to solve real-world science and technology problems by building robots with the mentorship of an industry professional. Pave the way for a STEM career—Talk to your child about different options for a career in STEM. If you’re in a STEM field yourself, bring your child to work with you one day. Ask friends or family members in a STEM field to talk to your child about what their jobs are like, or even set up a job shadow if your child has a strong interest. Check out Pathways to Science (www.pathwaystoscience.org) which maintains lists of STEM internship programs for K–8 and high school students. If your child needs a little help with STEM-related subjects, Optiminds has earned a reputation for helping students improve their study, reading, math and cognitive skills. Learn more about us by calling us today at (248) 496-0150 or by visiting us at: optimindsct.com. Once again, Optiminds is offering our popular Cognitive Camp in 2014. The camp is a fun way to keep your brain in shape over the summer, and features individualized and customized programs by skill level. New Location–This year, the camp will take place at the Optiminds office at 29688 Telegraph, Suite 400, in Southfield. Dr. Jane Stewart at Optiminds has earned a reputation for helping to improve the study, reading, math and cognitive skills of students of all ages. Please call us at (248) 496-0150 for Cognitive Camp hours and pricing. Or email Dr. Jane Stewart at jstewart@optiminds.com. Be sure to ask about our Family Discounts. We hope to see you there! Visit the Optiminds website at: optimindsct.com. 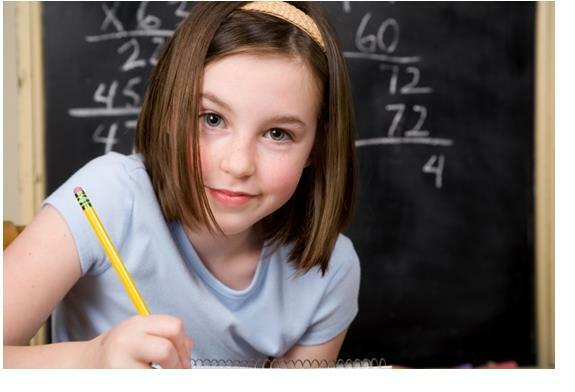 Parents and teachers persist in thinking boys are simply better at math. But in the largest study of its kind, researchers at the University of Wisconsin-Madison found no difference in the scores of boys versus girls — not even in high school. Researchers conducted a study that looked at annual math tests required by the No Child Left Behind education law in 2002. Ten states provided enough statistical information to review test scores by gender, allowing researchers to compare the performances of more than 7 million children. Girls who grow up believing boys are better at math wind up avoiding harder math classes, and ultimately lose out on a lot of careers, particularly high-prestige, lucrative careers in science and technology. But things are changing, though slowly. Women are now earning 48% of undergraduate college degrees in math; they still lag far behind in physics and engineering. In primary and secondary school, girls have caught up, with researchers attributing that advance to increasing numbers of girls taking advanced math classes such as calculus. Dr. Jane Stewart at Optiminds has earned a reputation for helping to improve the study, reading, math and cognitive skills of students of all ages. Learn more about Optiminds’ by calling Dr. Stewart today at (248) 496-0150 or email her at: jstewart@optimindsct.com. And be sure to visit the Optiminds website at: optimindsct.com. The American ideal of lazy summers filled with fun has an unintended consequence: If students are not engaged in learning over the summer, they lose skills in math and reading. For over a century, scholars have recognized that summer vacation is a period when students’ rate of academic development declines relative to the school year. Summer learning loss varies across grade level, subject matter, and family income. Research shows that students typically score lower on standardized tests at the end of summer vacation than they do on the same tests at the beginning of summer vacation. 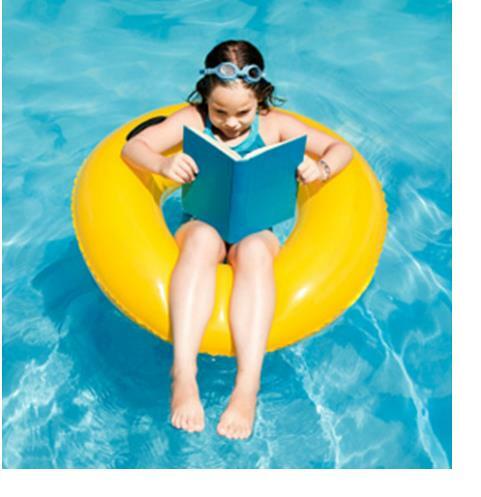 According to a report by the RAND Corporation, the average summer learning loss in math and reading for American students amounts to one month per year. On average, students lose approximately 2.6 months of grade level equivalency in mathematical computation skills over the summer months. Furthermore, the learning loss is cumulative, summer after summer. It has a tremendous impact on students’ success, including high school completion, post-secondary education and work force preparedness. Dr. Jane Stewart at Optiminds has earned a reputation for helping to improve the study, reading, math and cognitive skills of students of all ages. Consider enrolling your child in Optiminds’ Cognitive Camp this summer to keep them mentally challenged. Or you might consider an Optiminds’ Reading/Writing or Math Strategies program. Learn more about Optiminds’ customized tutoring programs by calling Dr. Stewart today at (248) 496-0150 or email her at: jstewart@optimindsct.com. And be sure to visit the Optiminds website at: optimindsct.com. Optiminds offers Math Strategies training for students ranging from kindergarten through high school. A key part of this training focuses on logical thinking skills—an important foundational skill of math. Learning mathematics is a highly sequential process. If you can grasp a certain concept, fact, or procedure, you then will be able to grasp others that come later, which depend upon it. For example, to understand fractions you must first understand division. To understand simple equations in algebra requires that you understand fractions. Solving “word problems” requires knowing how to set up and manipulate equations, etc. Students are also taught time concepts, numerical reasoning and strategies for solving story problems. Dr. Jane Stewart at Optiminds has earned a reputation for helping to improve the study, reading, math and cognitive skills of students of all ages. Learn more about Optiminds’ customized tutoring programs by calling Dr. Stewart today at (248) 496-0150 or email her at: jstewart@optimindsct.com. And be sure to visit the Optiminds website at: optimindsct.com. We know it isn’t even the first day of Spring yet, but we are already planning our Optiminds Cognitive Camp schedule for 2013. Cognitive Camp runs from June 24 to August 9, from 9 a.m. to 12 Noon. (No camp on July 4) Camp location is at Addams Elementary School at 2222 W. Webster Road in Royal Oak. Camp fees are $50/day and $200 /week. We are also currently organizing a Cognitive Camp with Activities that would be a full-day program, running from 9 a.m. to 3 p.m. at Addams Elementary. But we need a commitment of 10 students per week to make this happen. So if you are interested, please let us know as soon as possible. The cost: $100 a day or $400 for the week. Also new this year—Ask us about our Early Drop Off service. We can’t think of a better way to keep your brain in shape over the summer! You can register for Optiminds Cognitive Camp online by clicking on the “Cognitive Camp Registration” link on our home page at: optimindsct.com. Or you can contact Jane Stewart Ph.D. at (248) 496.0150 or jstewart@optiminds.com. Please return your application with a $50 deposit to: Jane Stewart, 2127 Marywood, Royal Oak, MI, 48074. With the school year getting underway, many parents are looking for ways to help their children gain an academic edge whenever possible. Not long ago, needing a tutor was viewed as a sign that a child couldn’t keep up with his peers. Today, tutoring is an accepted—even expected—part of middle and high school education. Parents are often surprised to learn how common tutoring is, not only for children who are behind academically or have a learning disability but also for those who are bringing home good report cards. Kids who are gifted are prime candidates for tutors because they are often not challenged enough in the classroom. A tutor can create a customized program that is both challenging and stimulating to help renew your child’s enthusiasm for learning if it has fallen by the wayside. With states requiring testing of students every year in reading and math from grades three to eight, many parents are using tutors to improve their child’s performance. Often the scores from these exams are used to determine whether a child gains admission to a selective public middle or high school or whether a child is put on a vocational or academic track at school. There is a higher expectation today to know more at earlier ages. Because standardized tests are so important, schools start prepping kids for them sooner. As a result, many middle school children are doing what once was considered high school work, while many high schoolers are taking college-level courses. Tutoring can help students keep up with things and meet the challenge of these higher expectations. Tutoring can help fill in the gaps in classroom curriculum. Some states no longer emphasize spelling or grammar since that knowledge is not required for state tests. As a result, middle school children may know the definition of SAT vocabulary words such as “perambulate” and “quiescent,” but they don’t know how to spell such basic words as “independence” or when to use commas or semicolons. Parents turn to tutors to help their kids bone up on these fundamentals. With competition to get into a good college so great today, many families turn to tutors to help boost grades and SAT scores. If your teen is preparing to take the SAT this year, a tutor can help them prepare for the exam, identify types of problems they will encounter, and equip them with essential test-taking skills. 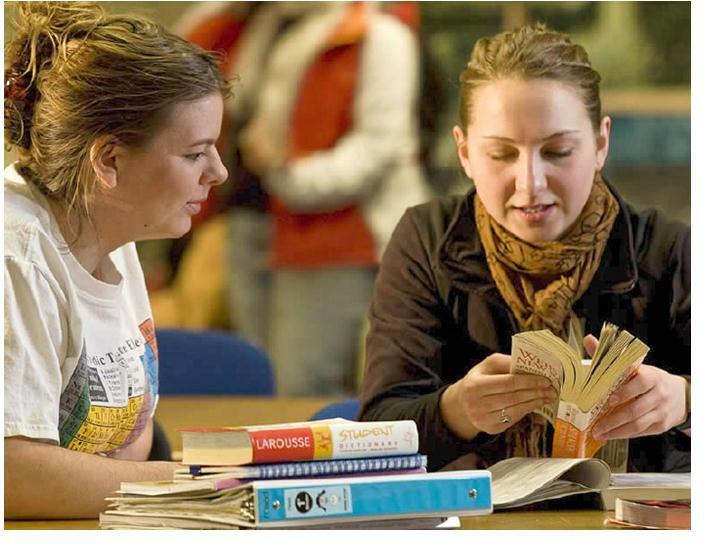 Often, scholarships are directly linked to a student’s SAT scores. So it makes sense to invest ahead of time in tutoring so your child does better on the SAT and has a better chance at qualifying for a scholarship. When it comes to tutoring services in metro Detroit, Dr. Jane Stewart at Optiminds has earned a reputation for helping to improve the study, reading, math and cognitive skills of students of all ages. Learn more about Optiminds’ customized tutoring programs by calling Dr. Stewart today at (248) 496-0150 or email her at: jstewart@optimindsct.com. And be sure to visit the Optiminds website at www.optimindsct.com. An important resource in ensuring your child’s academic success is getting the help of a tutor. Dr. Jane Stewart offers tutoring services for students of all ages at her two locations—Optiminds in Southfield and The Brain Development Center in Novi. Tutoring used to be thought of primarily as a remedial tool. If a student was struggling or made some mistakes along the way, working with a tutor was a way to get help and make a fresh start. But nowadays, working with a tutor is often treated like having an academic personal trainer and, as such, is enlisted by even the best of students. Good students know how to take advantage of the possibilities of good tutoring and to get started early in the semester before trouble starts. Real learning takes time and starting early gives your student a chance to learn concepts slowly and solidly. By being proactive, your child has a chance to grasp foundational concepts on which more difficult work is built. Student and tutor have time to get to know one another and establish the rapport that can make a difference in how they work together. The more a tutor works with your child, the more they get to know strengths, weaknesses, and learning styles. Early work means that early homework assignments will be done correctly. This translates to a higher grade average and less jeopardy occurring later in the semester. A tutor will hold your student accountable for completing work. A tutor provides constant feedback on the work, which helps a student stay on track with subjects. Tutoring builds confidence in a person’s learning abilities, increasing motivation to continue to do well. Dr. Jane Stewart specializes in helping people of all ages improve their study, reading and cognitive skills at two locations: The Brain Development Center in Novi and Optiminds in Southfield. Contact Dr. Jane Stewart at (248) 496-0150 or email her at: jstewart@optimindsct.com. You can learn more about The Brain Development Center at: http://novipsych.com/brain_development and Optiminds at: www.optimindsct.com. If you’re a college student, it’s a good guess that you find yourself with too much to do and too little time to do it in. Maybe it’s time to treat yourself to some help from Optiminds. In a short time, we can teach you how to reduce stress and increase your mental capacity, which will allow you to process information better and faster. You will be able to retain critical information that you’ve learned in class, so you can apply it quickly when doing homework or taking exams. We utilize skills-based programs, computerized drills, visualization techniques and mental exercises individually tailored to your unique needs to achieve proven results. We’ll help you set your goals and achieve them. Dr. Jane Stewart at Optiminds has been helping to improve the study, reading and cognitive skills of clients of all ages. Find out more about Optiminds tutoring programs for students of all ages by calling us today at (248) 496-0150 or email us at: jstewart@optimindsct.com. And be sure to visit our website at www.optimindsct.com. Are you or your child struggling at school? Maybe all you need is a little tutoring from Optiminds. Optiminds is a professional tutoring service that has been helping students of all ages improve their academic skills. We serve the metro Detroit area, including Southfield, Bloomfield Township, Royal Oak, Oak Park, and Farmington Hills. It’s a fact that most schools today are not equipped to handle the individual demands of every student. Optiminds’ success is based on an approach comprised of customized, individualized exercises designed to stimulate targeted areas of the brain. We tutor in math, writing, reading and speed reading. Our programs focus on everything from problem-solving, critical thinking and time management to study skills and test preparation. This includes ACT Prep, ACT Math Prep and ACT Reading Prep. “This program has given me the tools to manage school, work and homework with less stress and more organization,” says Sally, a high school student who completed an Optiminds tutoring program. If you are looking for experienced tutors in metro Detroit, give us a call today at (248) 496-0150 or email us at: jstewart@optimindsct.com. Dr. Jane Stewart at Optiminds has been helping people of all ages improve their cognitive, memory and learning skills. To learn more, be sure to visit our website at www.optimindsct.com.